A study shows that polling stations, where citizens are assigned to go vote during election season, are not as neutral as the public believes them to be. CSUN professor Dr. Abraham Rutchick, who conducted the study, found that a citizen’s vote can be impacted by where he or she goes to vote. As Rutchick started taking more psychology classes in the university, he said he started to learn how subtle factors can have a significant impact. The notion that a polling station’s location can influence voting was sparked during the Fall 2004 elections. Rutchick was assigned to a polling station held at a church in Santa Barbara. “It can activate different ideas, that walking into a place can make you feel different,” he added. From 2004 to 2007, Rutchick did two studies from South Carolina voting data. He collected data that showed all the precincts and how people voted in each precinct. He then assorted everything into churches and non-churches. “It’s really just a bunch of hunting around,” Rutchick said. Rutchick also surveyed people in Santa Barbara, asking them what their political values are and what Christian values meant to them in a political context. Rutchick also found that people who are consider themselves “quite conservative” also think that the Christian values are more conservative than them. Jonathan Polus, Associated Students senator of humanities said he can understand why people are influenced. However, “if you have done your research, if you have done due diligence and figuring out what the issues are, then when you go into a polling station, it’s not going to affect your vote,” Polus said. Polus said that this was the only way he could see this type of influence. 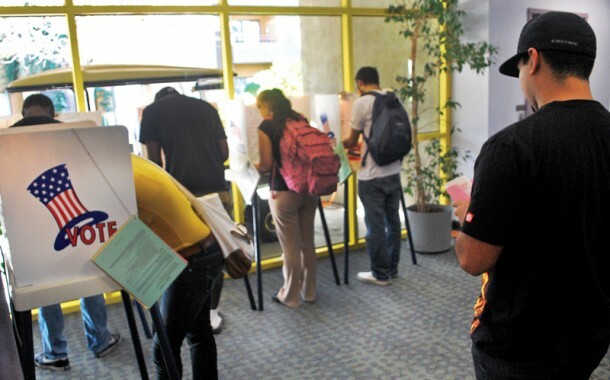 Retana, an accounting major, said she believes a polling station can influence a person, depending on whether that person lives in a democratic or republican area and on the campaign advertisements. For the upcoming elections, she said the polling station would not influence her vote. “If I know who I’m voting for, I’m going to be focused on the reasons why or why not, not on other advertisements or what other people say,” Retana said. Rutchick said it’s challenging to say how this study will affect the upcoming election. “For instance, with Meg Whitman and Jerry Brown, Meg Whitman is more conservative but Jerry Brown used to be in a seminary,” Rutchick said. “So, it’s not necessarily clear what the impact of churches would be,” Rutchick added. Rutchick’s work was published in “Political Psychology” in January 2010.